Leader (Committee Suit) by Michaela Daystar: "I Am One on Whose shoulders others dance and rise. I Am One Whose influence comes through peaceful, powerful presence, rippling out from a core of self-knowledge. I Am One Who knows that the health of my pack is in direct relationship with the health of the world, and that peace and wholeness begin within the Self and ripple outward. “Leadership is best practiced from the inside out,” I mused as I watched the college students silently working with magazines and scissors. I had entered Saint Mary’s College of California’s graduate program in Leadership Studies desiring to work on how I show up in the world as a leader. I was surprised and delighted to discover that the program invited—in fact insisted—that before we begin to lead others, we must first explore and attend to how we lead ourselves. The two years I spent earning my Master’s Degree in Leadership Studies with a concentration in Social Justice was a deeply personal, spiritual, and ultimately transformative experience, exploring my leadership from the inside out. I’d spent years attempting to choose between a career focused on my creative, intuitive gifts, or on my commitment to make social change. Through exploring core values, our internal resistance to change, and expansive definitions of leadership, I came to realize that there is no need to choose: my creative, intuitive, spiritual gifts are in fact my strongest leverage points to making positive social change. A program that so deeply values the internal landscape became a natural space to share my SoulCollage® practice. My cohort appreciated, my SoulCollage® cards related to the topics at hand. Over the course of the program, I created many new cards related to my leadership terrain. Our faculty asked me to share this practice, and in our closing retreat I led the students and faculty in a SoulCollage® experience about leadership. 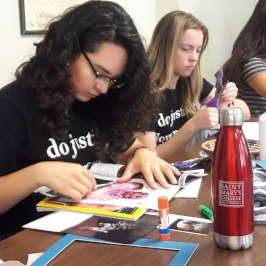 This became the first of many opportunities to teach leadership through SoulCollage®, as an instructor in the MICAH (Mulvaney Immersion Communities for Action & Humility) Summer Fellowship Program, a social justice leadership immersion for undergraduate students. 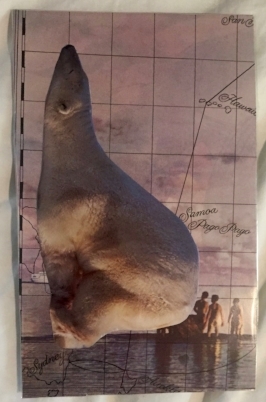 I have found in three years of bringing SoulCollage® into leadership training programs that this practice is consistently effective in taking the study of leadership beyond theories and into lived experience. The result is students and leaders with deeper self-awareness who take more responsibility for understanding and, when necessary, shifting the parts of themselves that contribute to successes and challenges as leaders. Each of us, whether or not we identify as a leader or hold a formal leadership position, has the ability to influence other people and situations in ways that are conscious and unconscious. SoulCollage® has much to offer in understanding leadership, as it is a pathway into our subconscious beliefs, biases and behaviors that govern how we show up in different spaces. Adaptive Leader (Committee Suit) by Amy Maltz: I Am One Who moves constantly. I Am One Who is ever-evolving, face-changing, brain-morphing. I Am One Who focuses on adaptation rather than stagnation. I Am One Who exists in many facets and behind veils, waiting to be uncovered. Within the Committee suit, we encounter aspects of ourselves that contribute strengths to our leadership, and those that pose barriers. The Council suit brings us into deeper relationship with the archetypes that influence our leadership, and provides a pathway to invite other archetypes whose influence we seek. The Community suit is an opportunity to reflect on the ways key people in our lives impact our ability or hesitancy to lead. Deep within our bodies, imbedded in our DNA and the imprints of experience, lies wisdom about the ways we respond to situations that call us to leadership. This wisdom is made available to us through the Companions suit. “The SoulCollage® process has been invaluable in deepening and developing students' leadership capacities,” says Ryan Lamberton, Co-Director of the MICAH Fellowship Program. This begins during the program orientation, when I lead students in creating their Observer card. We teach a leadership form called Adaptive Leadership, which requires us to cultivate the ability to “get on the balcony.” This means to observe and get curious about ourselves and our situations from a broad perspective, taking into account the many contexts and subtleties involved beyond our immediate experience. We teach students how to engage their Observer through its SoulCollage® card, to help them better understand their internship experiences and the group dynamics within their learning community. Uncertain Adventurer (Committee Suit), by Amy Maltz: I Am One Who admires adventurers and risk takers from afar. I Am One Who wishes I was a bit more daring. I Am One Who yearns to tumble through unknown terrain but isn’t quite sure how. Deconstructing Comfort (Committee Suit) by Amy Maltz: I Am One Who isn’t often comfortable aligning herself with the norm. I Am One Who has become more comfortable in deconstructing whatever the norm is. I Am One Who aspires to live uniquely, creatively and wholly. 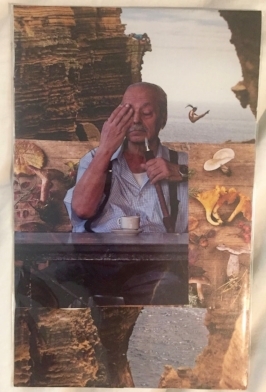 Last year one student, Amy Maltz, found the process so transformative that she decided to use SoulCollage® as the basis for her final project, and as an on-going practice. Amy shares, “One of the biggest takeaways from MICAH for me was learning practices and tactics to reflect and care for myself so that in the future I can better serve others.” We can see how Amy took up the inquiry of adaptive leadership in her card Adaptive Leader. Several of Amy’s cards explore the parts of herself that draw her to social justice work. Deconstructing Comfort celebrates her ability to resist conformity to social norms and to seek wholeness through deconstructing limiting social structures. Amy also explored parts of herself that could get in the way of living fully into her potential as a leader. Through Uncertain Adventurer, for instance, she honestly assessed the ways she both yearns for and distances herself from the risks necessary for adaptive leadership. Heifeitz, Ronald; Linsky, Marty. The Practice of Adaptive Leadership. Harvard Business Review Press, 2009.